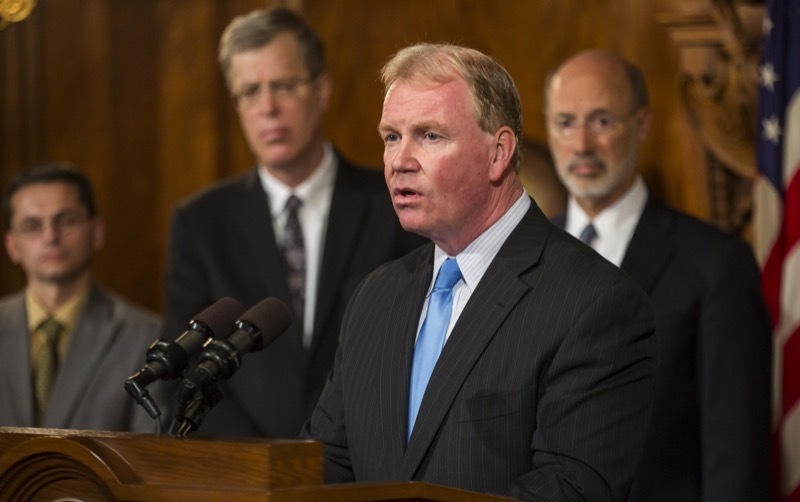 On Saturday, Oct. 22, from 10 a.m. to 2 p.m. the Pennsylvania Department of Drug and Alcohol Programs (DDAP), the Pennsylvania State Police (PSP) and the Drug Enforcement Administration (DEA) will give the public its 12th opportunity in six years to prevent pill abuse and theft by ridding their homes of potentially dangerous expired, unused, and unwanted prescription drugs as part of National Prescription Drug Take Back Day. 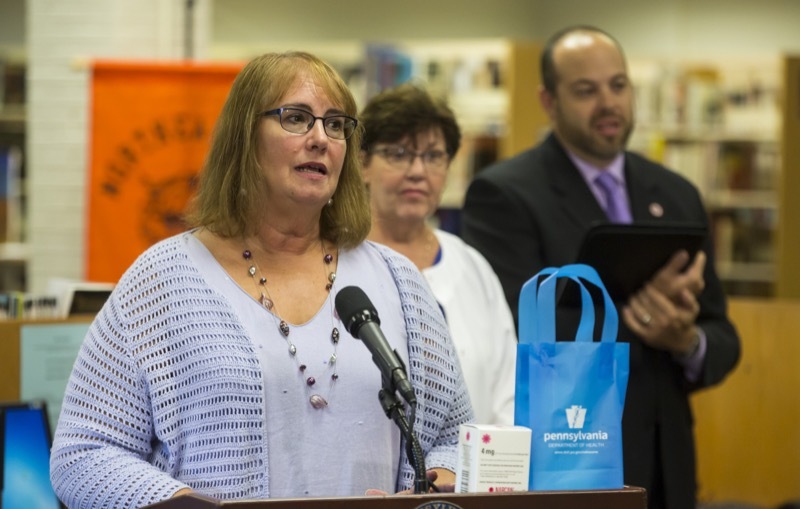 All unwanted prescription pills and patches can be dropped off at participating police and fire stations and DEA offices. 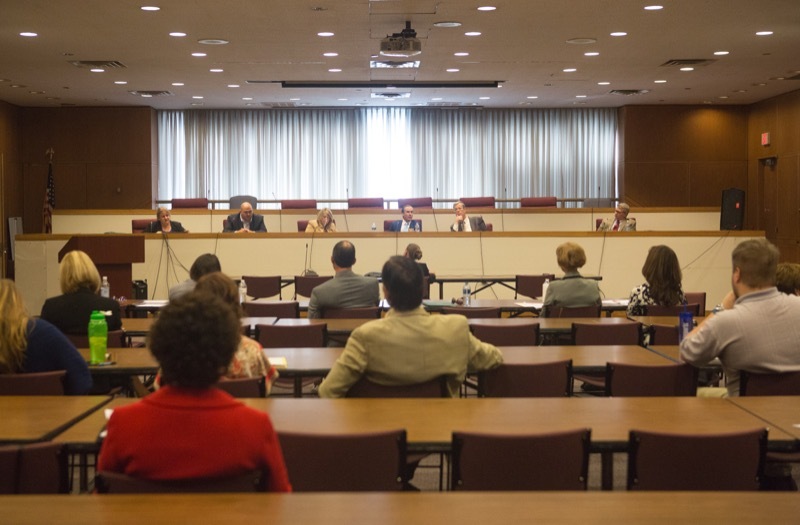 The service is free and anonymous, no questions asked. 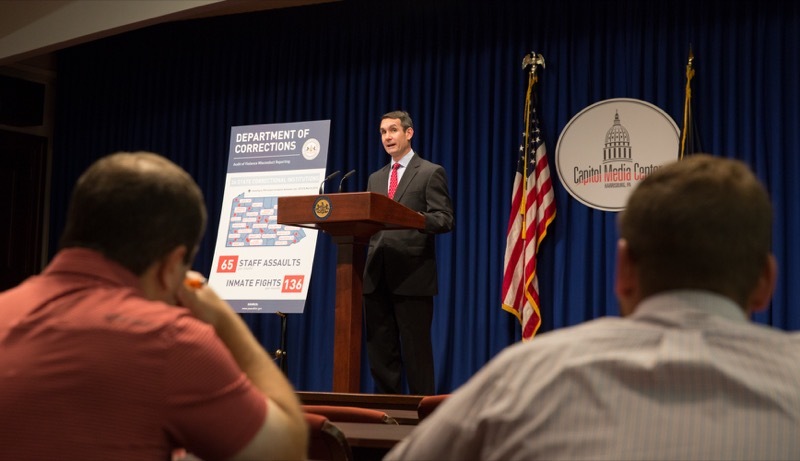 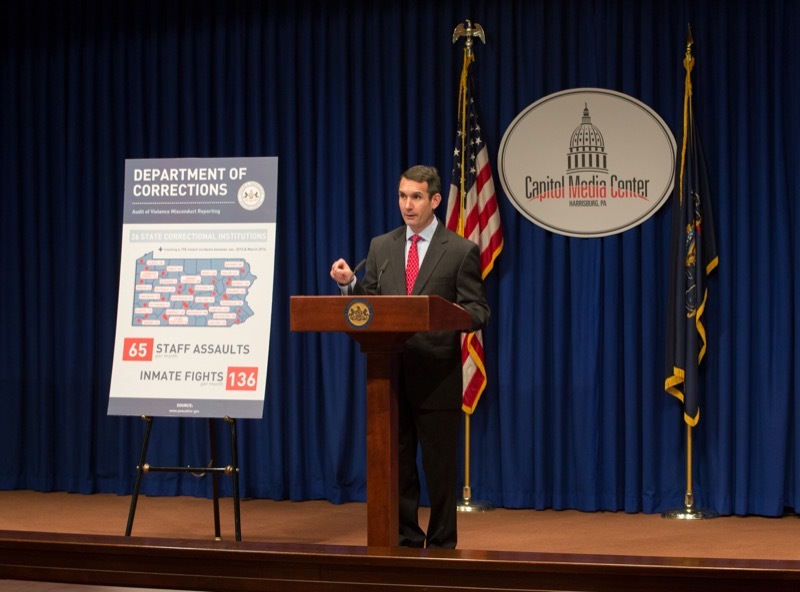 Auditor General Eugene DePasquale said today that a recent audit of the Department of Corrections (DOC) shows that while the agency is properly recording reported inmate violence, with more than 4,000 incidents recorded in a 15-month period, the agency must assess staffing and other resources to prevent assaults and fights. 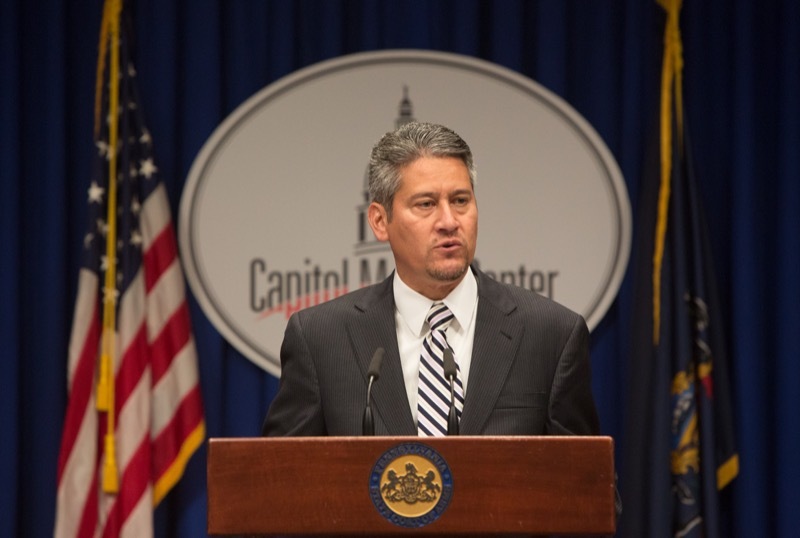 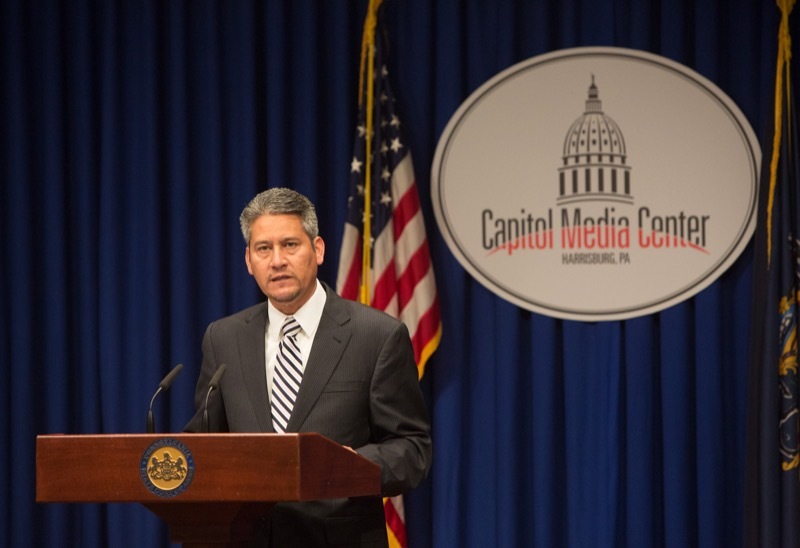 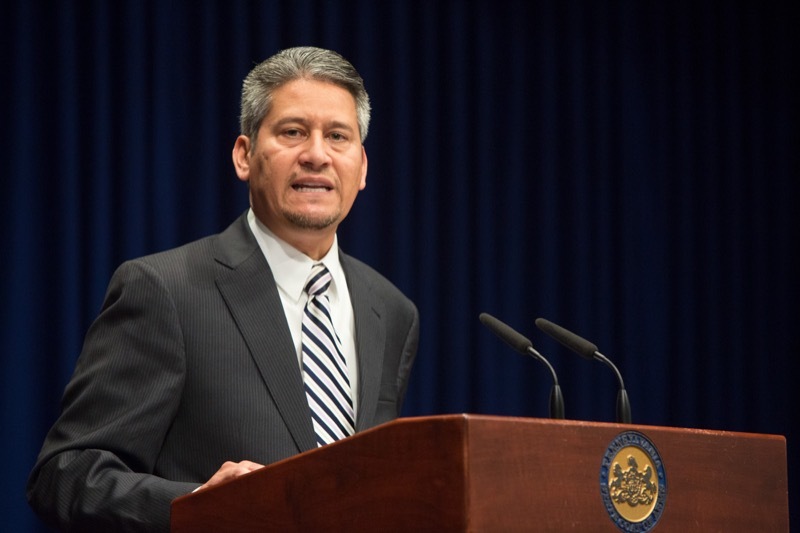 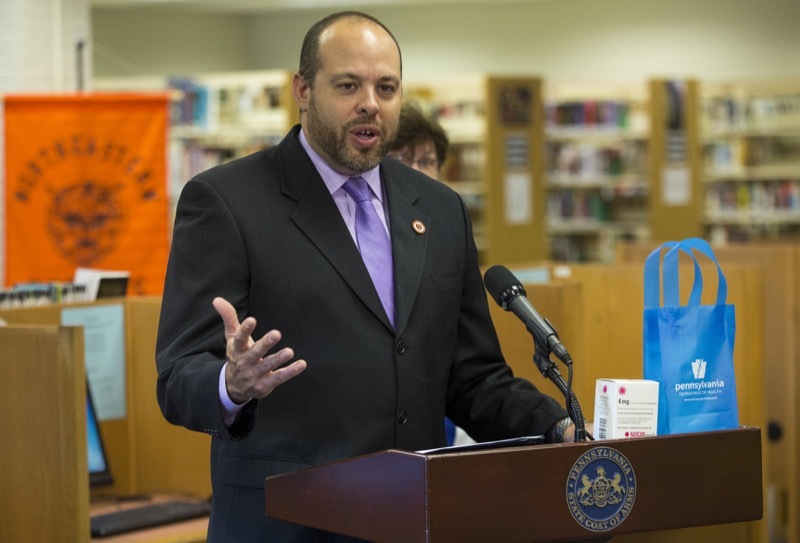 Today, Secretary of State Pedro A. Cortes held a press conference to address the recent comments made about the integrity of elections in Pennsylvania and other issues important to voters heading into the November 8th election. 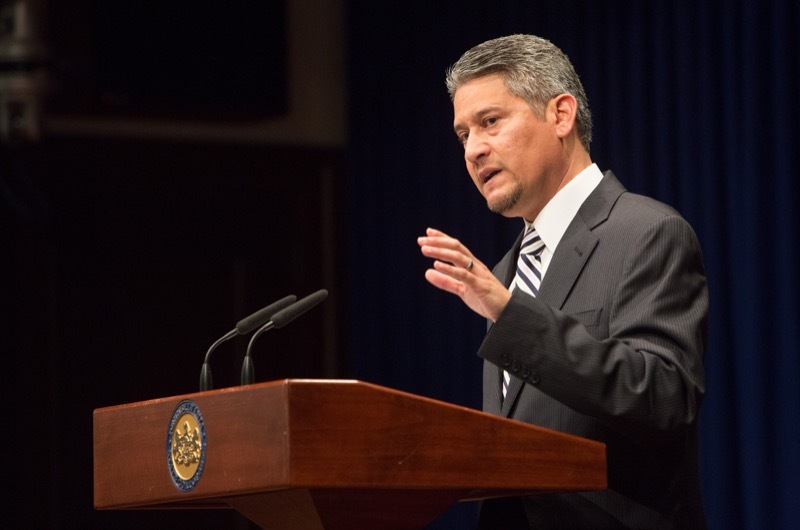 Secretary Cortes discussed voting systems, election integrity, poll-watching and voters' rights to participate free of intimidation. 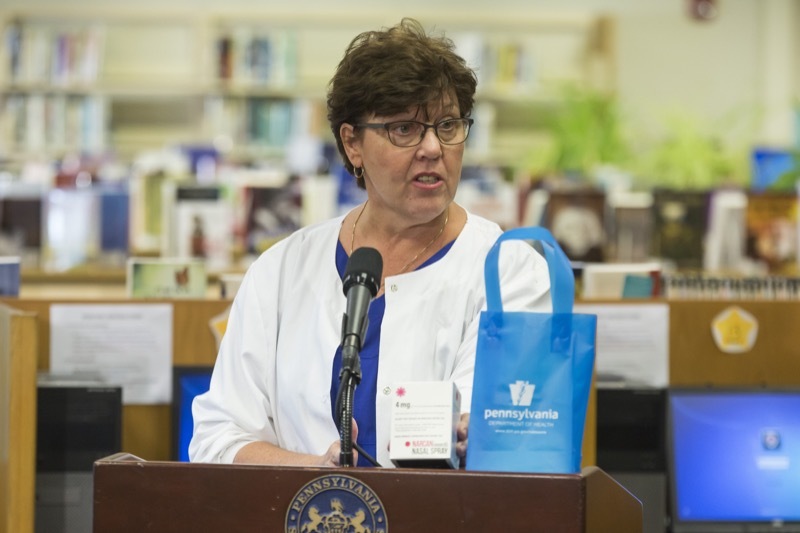 Secretary of Health Dr. Karen Murphy today visited Northeastern High School in York County to discuss the Department of Health's efforts to provide schools with the overdose reversal medication naloxone. 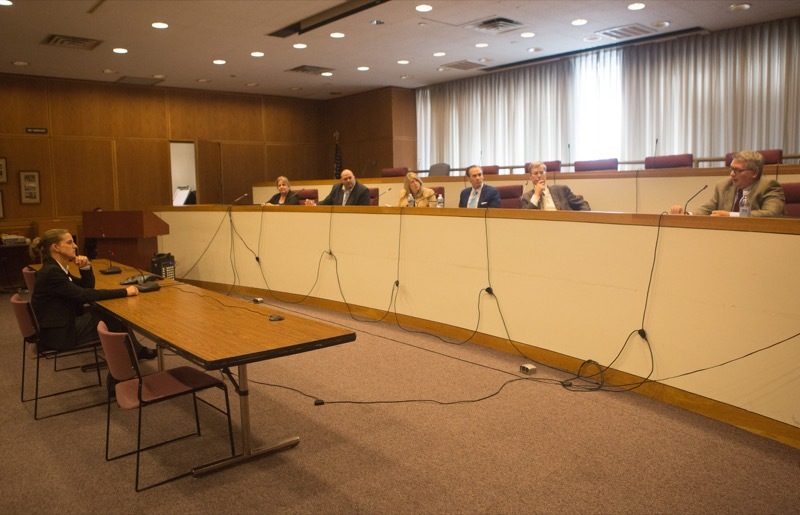 She also commended Northeastern High School for their drug education and awareness efforts and spoke with students and administrators about the important role the community plays in battling the opioid epidemic. 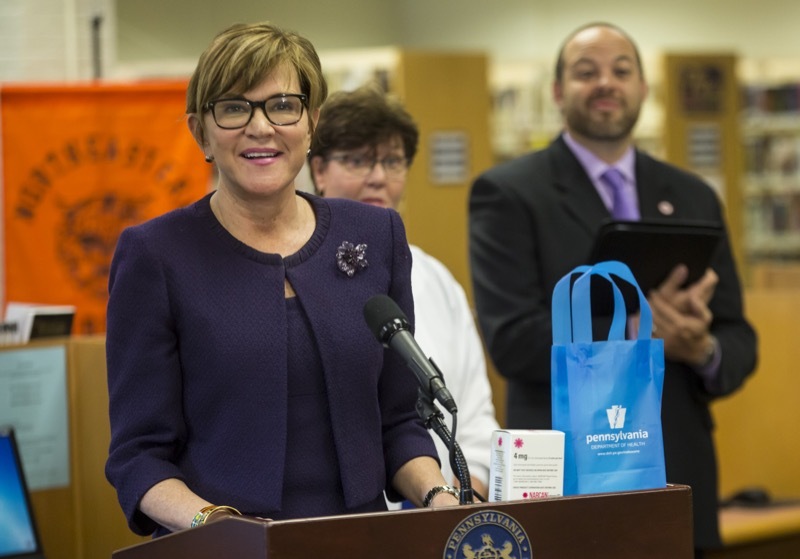 Manchester, PA - Secretary of Health Dr. Karen Murphy today visited Northeastern High School in York County to discuss the Department of Health's efforts to provide schools with the overdose reversal medication naloxone. 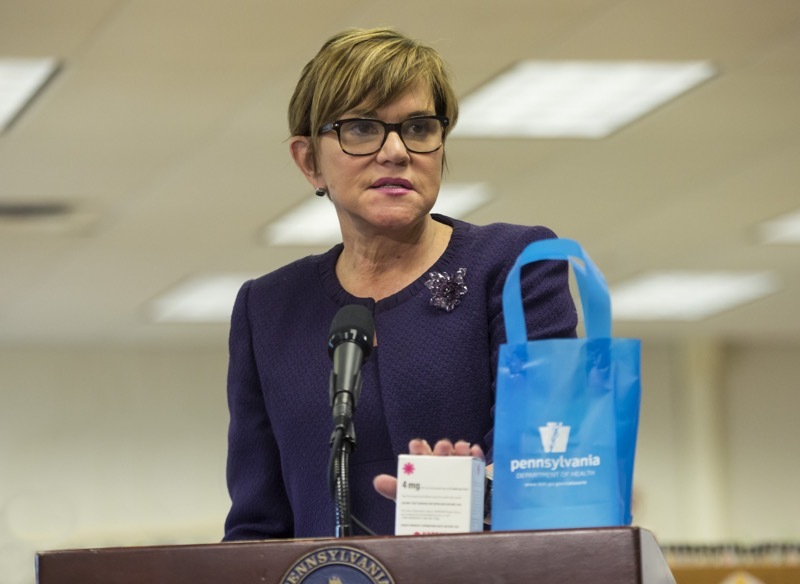 She also commended Northeastern High School for their drug education and awareness efforts and spoke with students and administrators about the important role the community plays in battling the opioid epidemic. 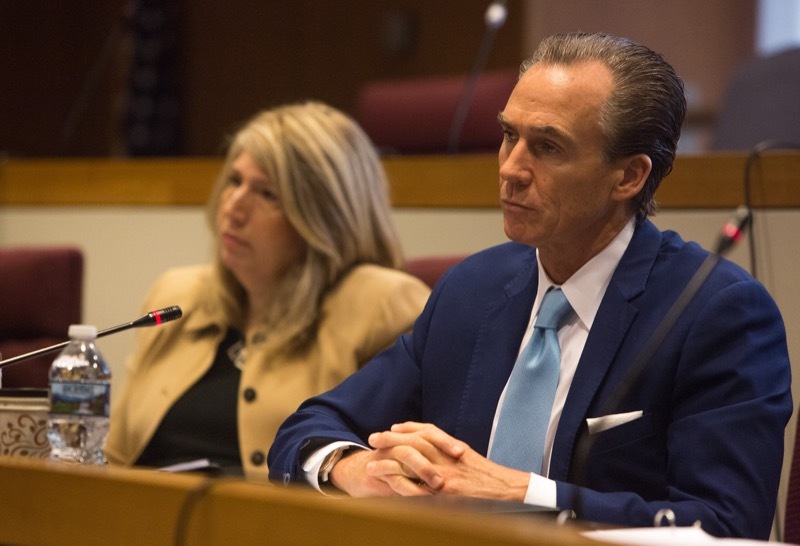 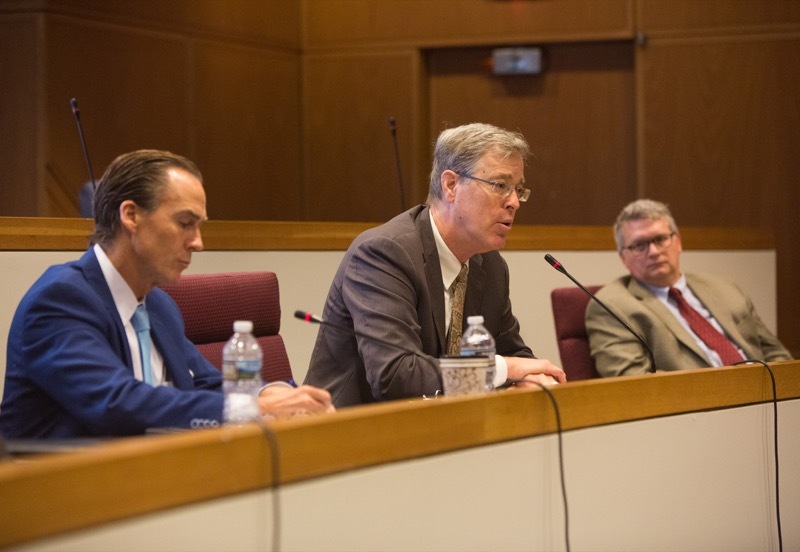 Lieutenant Governor Mike Stack co-chaired a public hearing along with Secretary Gary Tennis of the state Department of Drug and Alcohol Programs (DDAP). 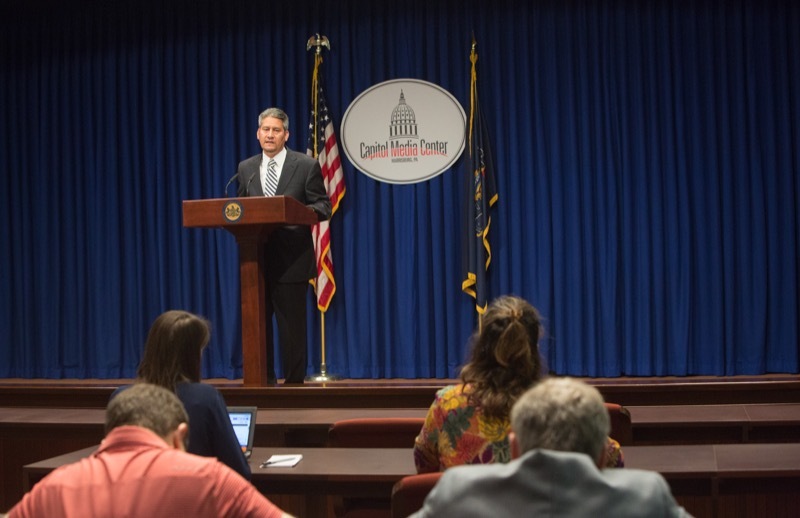 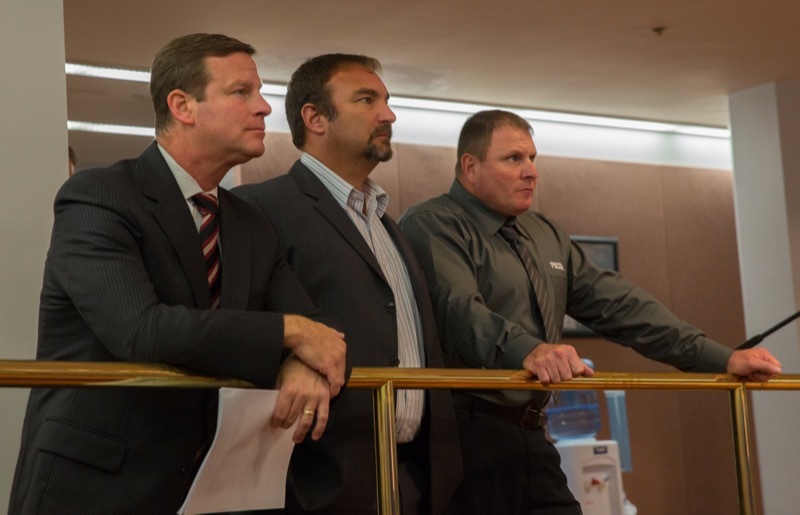 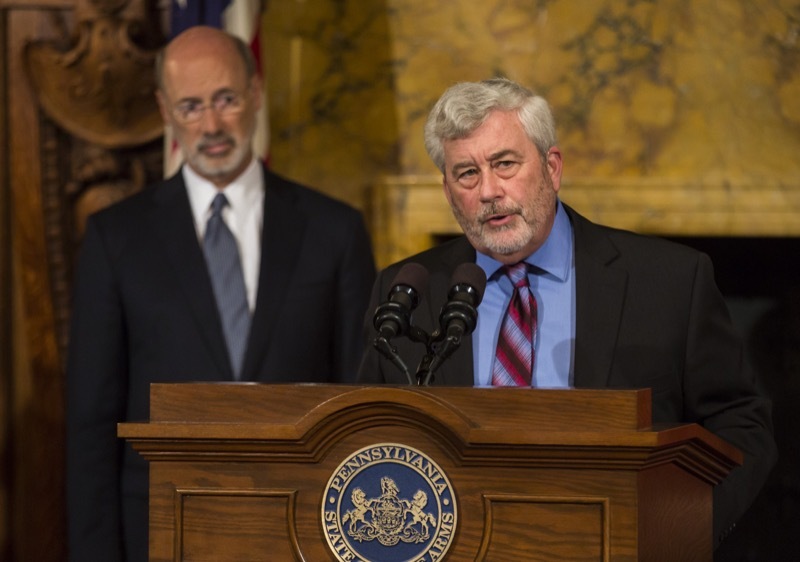 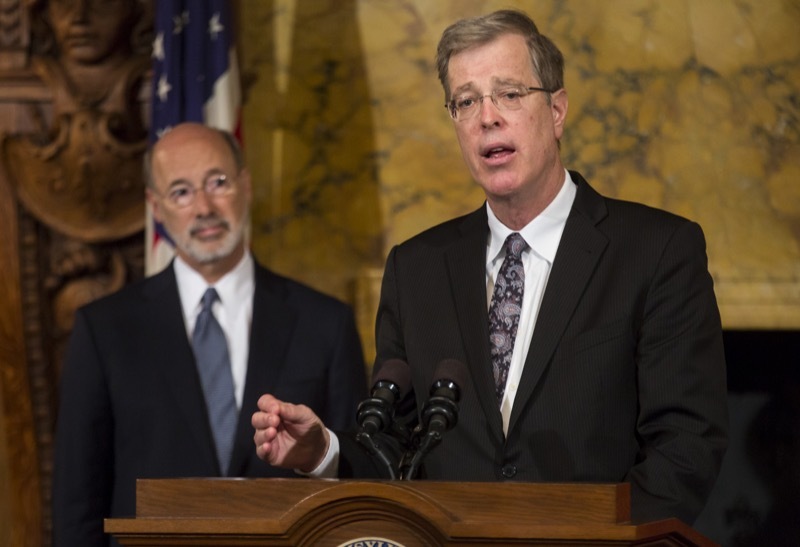 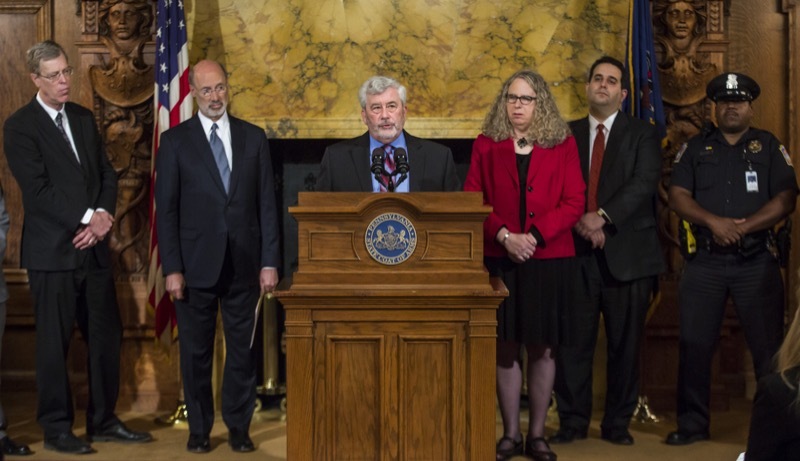 The hearing was one of a series being held around the state this fall under House Resolution 590, which tasked DDAP with evaluating access to drug and alcohol abuse treatment in Pennsylvania and reporting back to the Legislature. 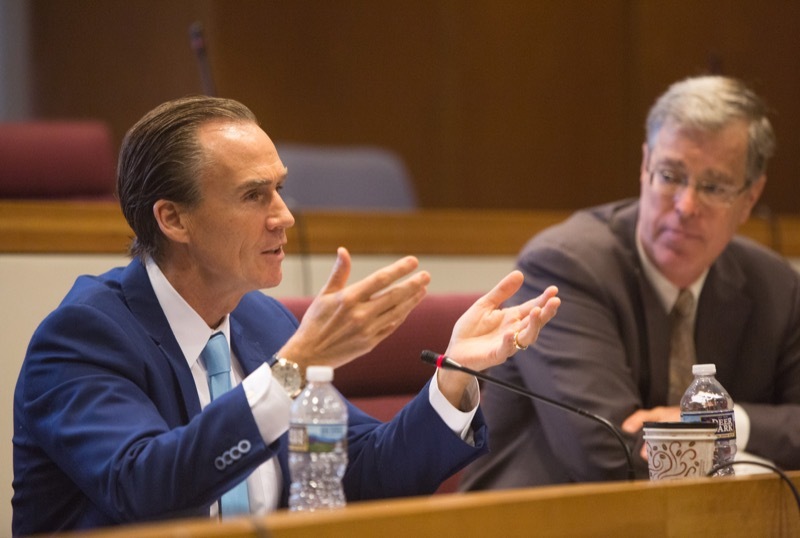 Lieutenant Governor Stack co-chaired HR 590 drug and alcohol treatment hearing with Secretary Gary Tennis of the Department of Drug and Alcohol Programs. 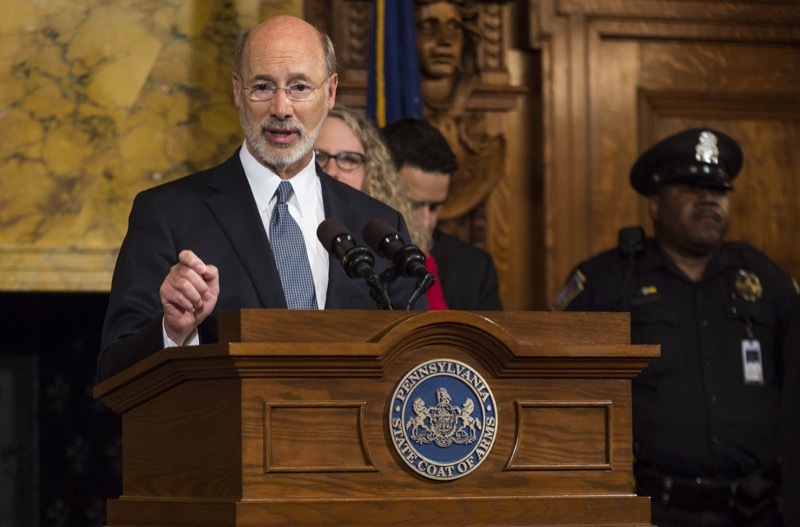 Governor Wolf today thanked Pennsylvania's law enforcement community for combating the opioid epidemic by carrying the overdose reversal drug Naloxone. 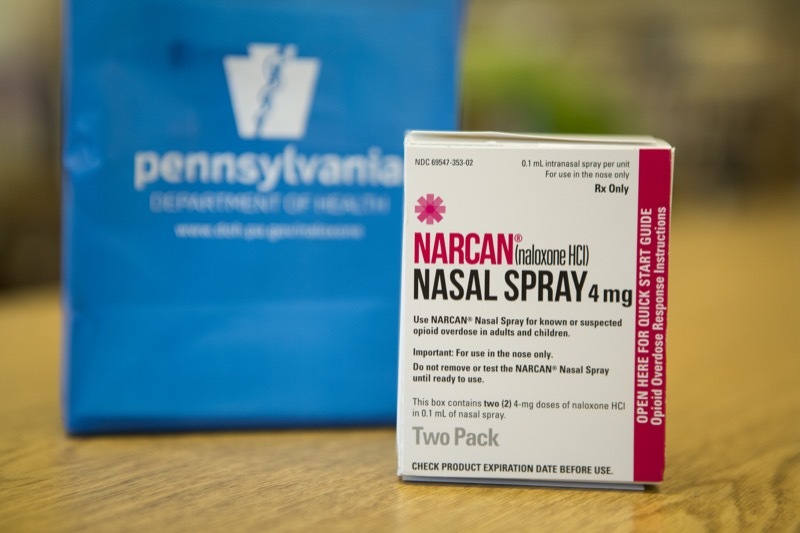 There are now 17 counties that have full participation of police departments carrying Naloxone. 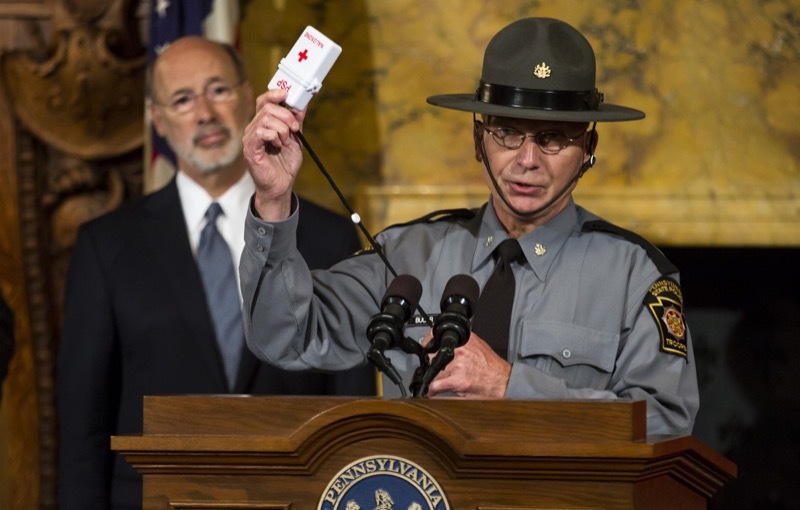 He also encouraged other municipal police departments to carry Naloxone. 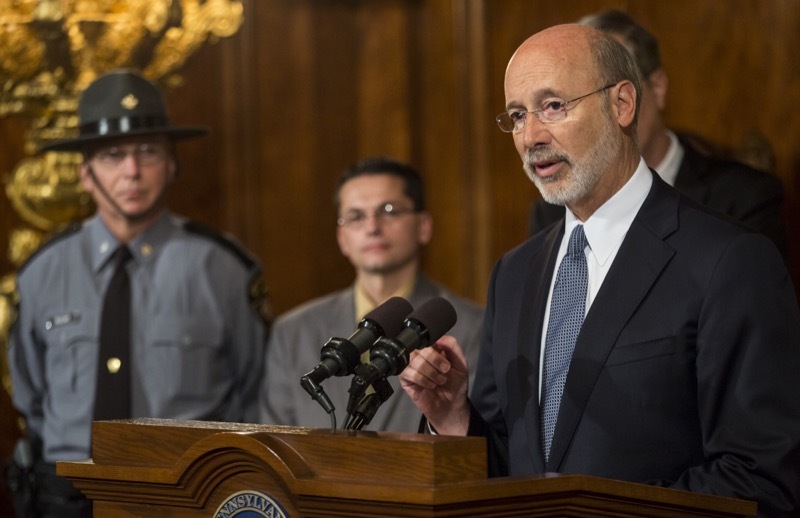 Governor Tom Wolf was joined by the Pennsylvania State Police, district attorneys, capitol police officers, and other state partners. 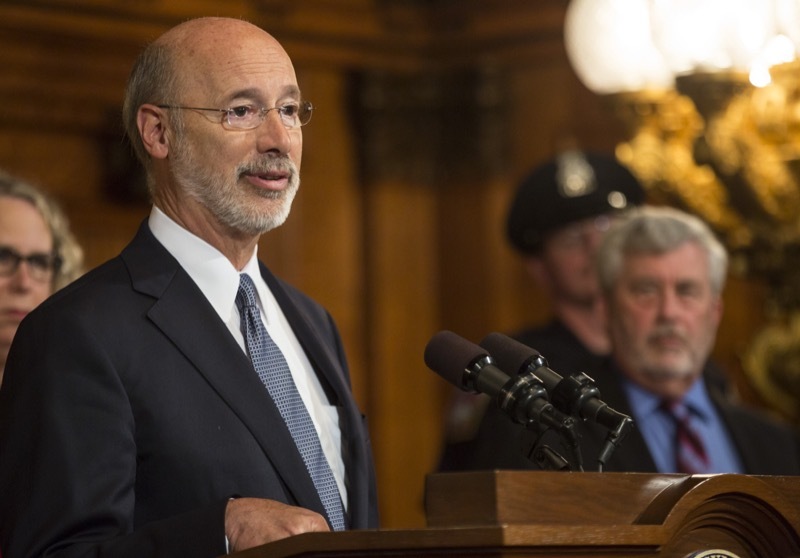 Governor Wolf today thanked Pennsylvania's law enforcement community for combating the opioid epidemic by carrying the overdose reversal drug Naloxone. 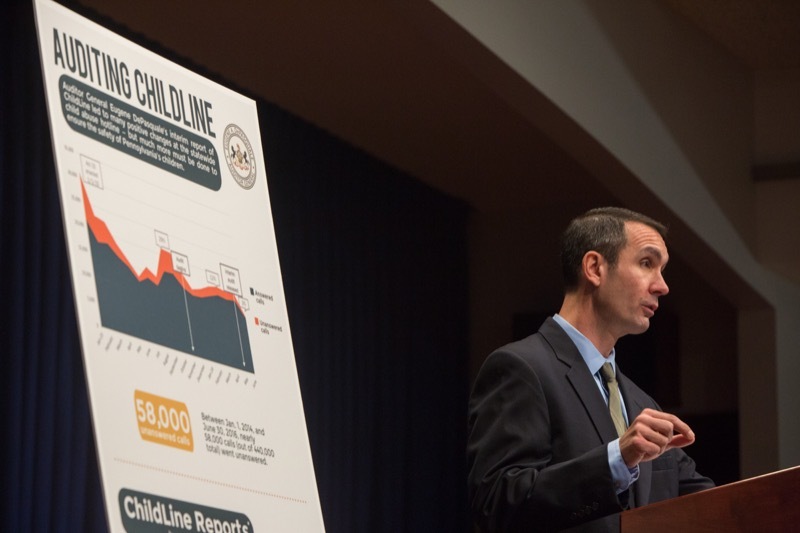 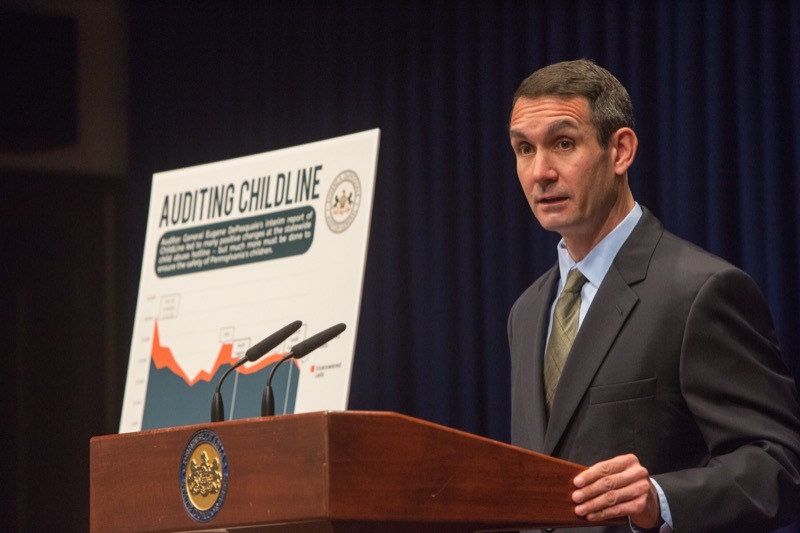 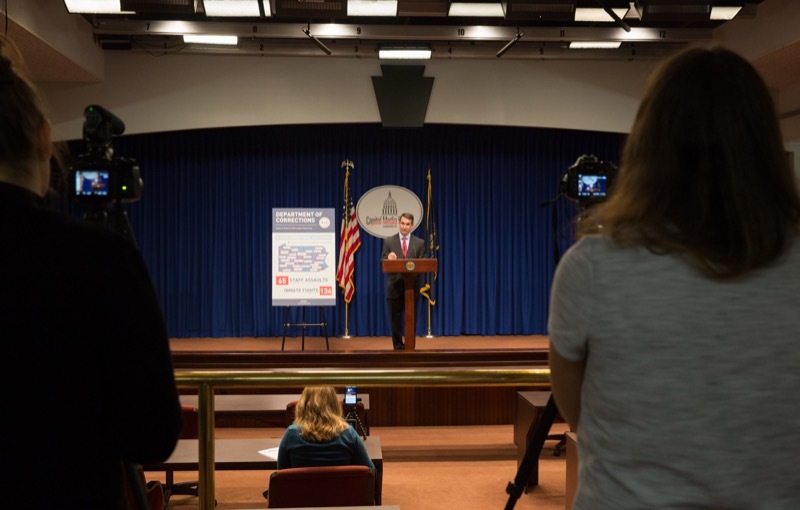 Auditor General Eugene DePasquale today said major changes at the Department of Human Services' (DHS) child-abuse hotline, ChildLine, are making a significant difference in helping children who might be victims of abuse or neglect. 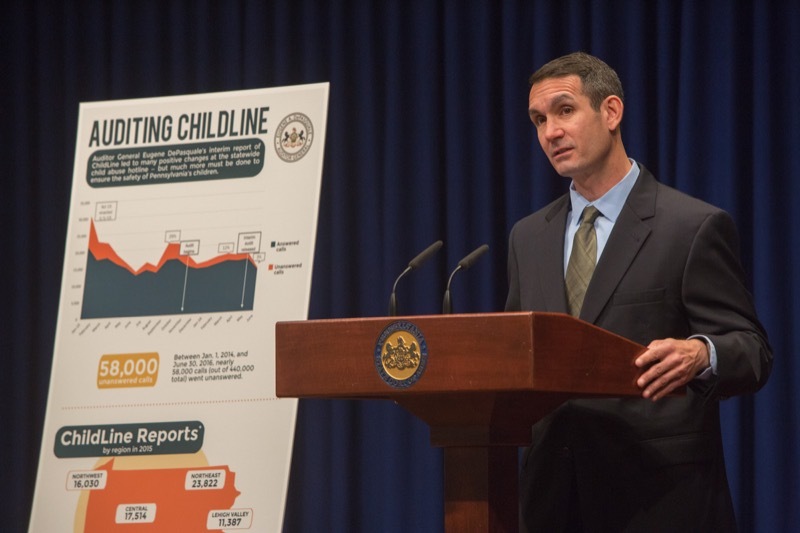 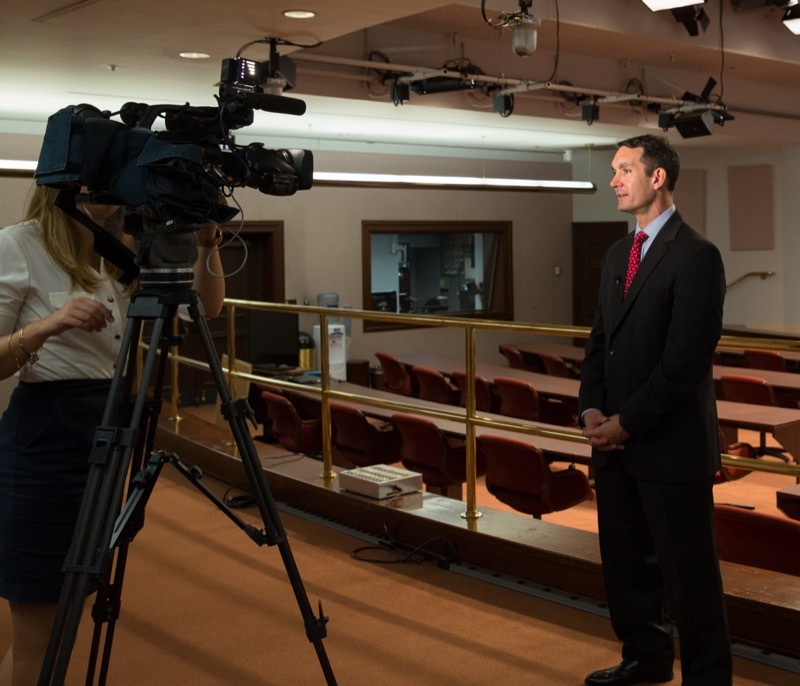 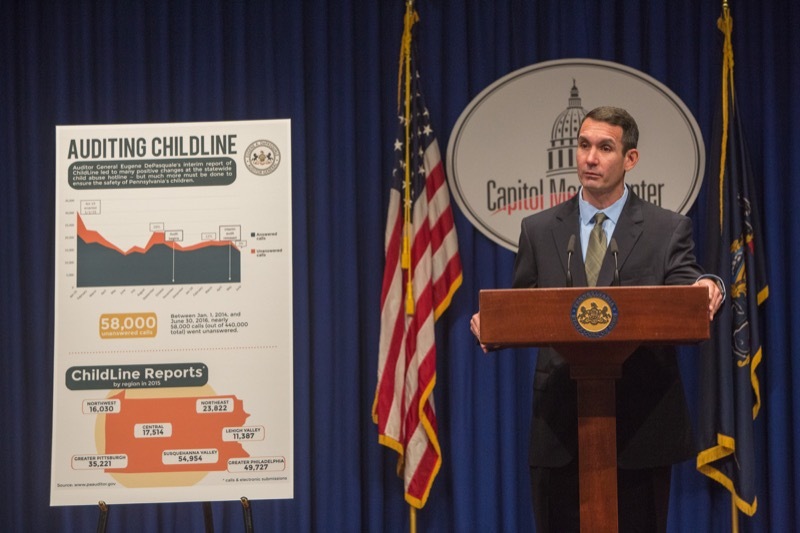 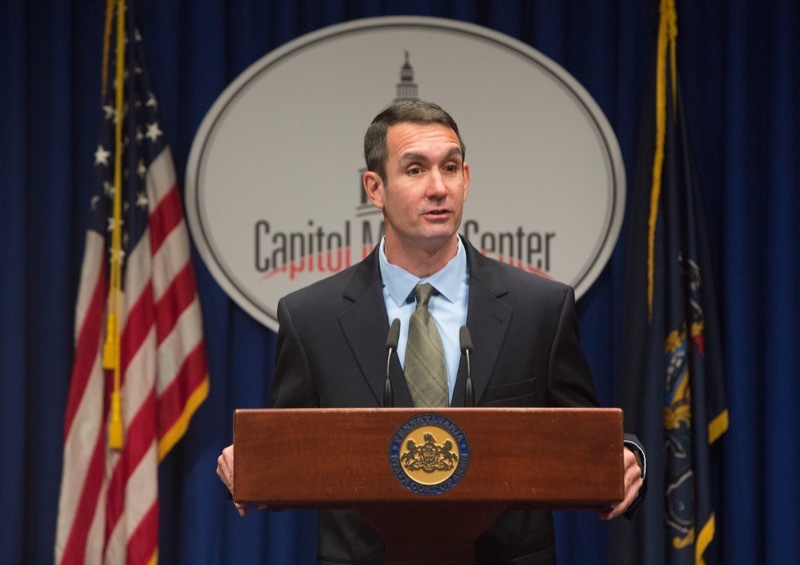 HARRISBURG - Auditor General Eugene DePasquale today said major changes at t he Department of Human Services' (DHS) child - abuse hotline, ChildLine, are making a significant difference in helping children who might be victims of abuse or neglect.